It was another eventful night in the Champions League as Manchester City and United both secured their place in the last-16. 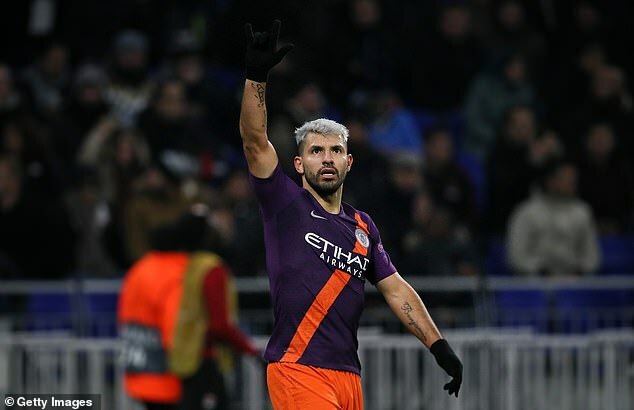 City earned a 2-2 draw away at Lyon thanks to a late Sergio Aguero header while their rivals United claimed a last-gasp victory through Marouane Fellaini. He is one of many talents looking to make a name for himself on the biggest stage of all at the moment but Cengiz Under made the headlines for all the wrong reasons on Tuesday. 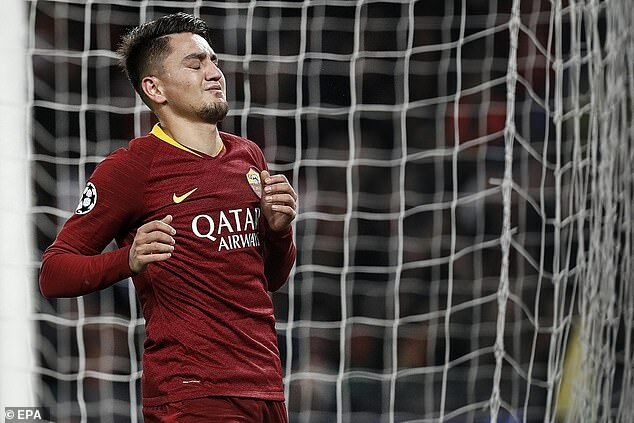 The 21-year-old Turkish winger missed an absolute sitter near the end of the first half for Roma with the scoreline still at 0-0. And it’s one of those that will unfortunately haunt him for the rest of his career. Nicolo Zaniolo played an inch-perfect pass into the feet of Under, who is about three-feet out from goal. But somehow, the Roma man manages to blaze the ball over the crossbar as he strikes the ball first time. They went on to lose 2-0. Worse than Matt Ritchie’s miss against Burnley on Monday at Turf Moor? We will let you decide. 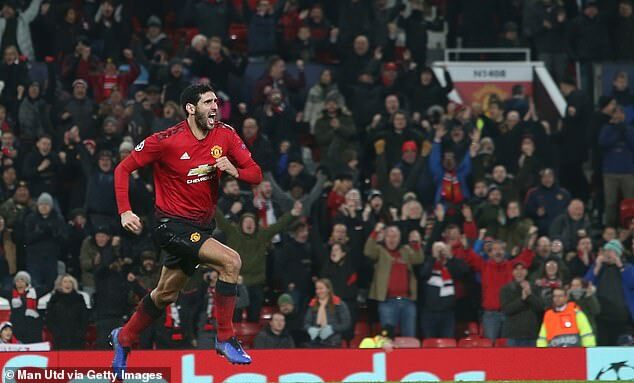 WHERE HAS HE GONE FELLAINI? 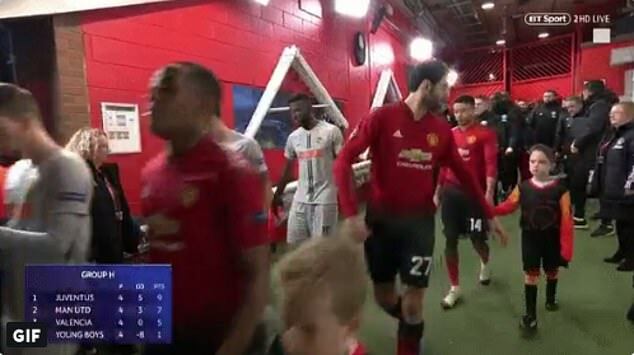 In the tunnel ahead of kick-off at Old Trafford, United midfielder Fellaini had a moment to forget. 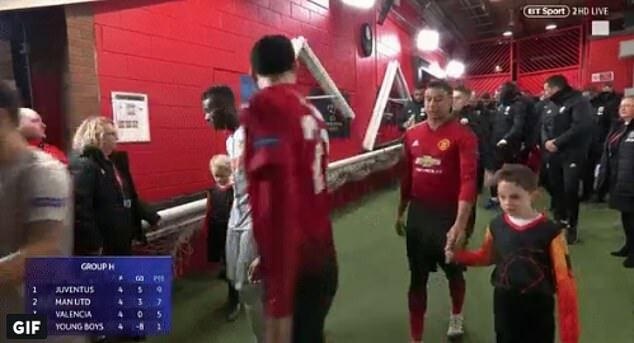 As both teams walked out onto the pitch with their mascots in hands, the Belgian international was walking casually on his own. But just seconds later, Fellaini realised he was the odd one out and started searching frantically for his mascot over both shoulders. He even put out his left hand expecting the mascot to be by his side but how wrong was he! 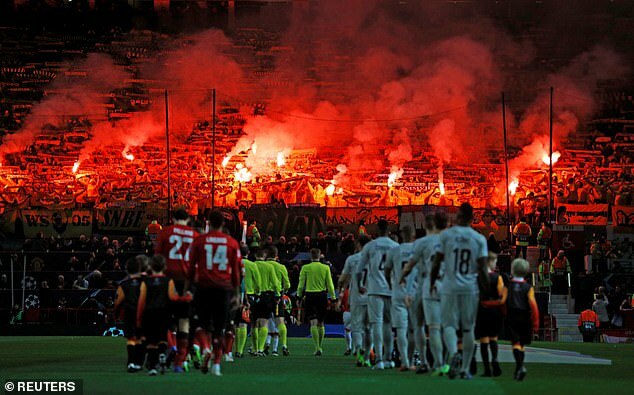 Old Trafford suffered another security breach as Young Boys’ fans set off around a dozen flares when the teams emerged from the tunnel. United carried out an extensive security review after multiple pitch invasions at their last Champions League home fixture against Juventus. 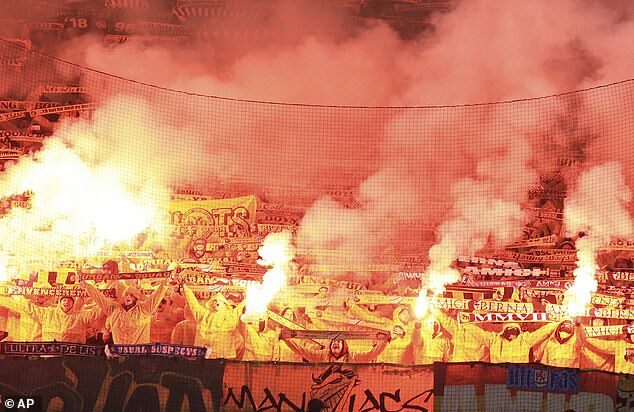 However, despite searches and the use of sniffer dogs, they were unable to prevent fans in the Swiss section from smuggling in the pyrotechnics. It is understood Young Boys officials had warned that fans may stuff the objects down their trousers in a bid to avoid detection. United may now face a fine from UEFA. The inevitable happened at Roma on Tuesday night. 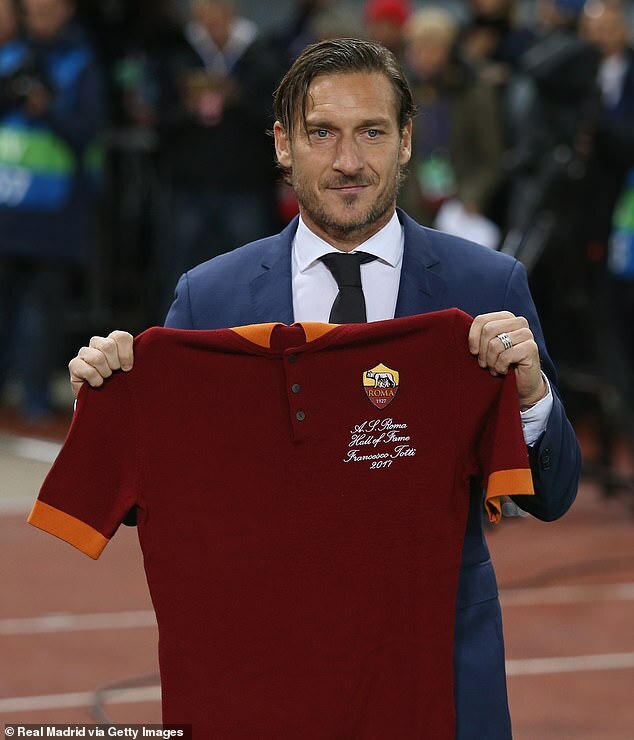 Club legend Francesco Totti was inducted into the Hall of Fame. Prior to kick-off at home against Real Madrid, the former striker — who scored more than 300 goals in over 780 appearances for the club — was handed a Roma shirt pitchside at Stadio Olimpico. The 42-year-old, who was full of emotion on his return, received a very warm reception by the Roma faithful as he was given an old school club shirt to honour his heroics. Classy present for a classy player. Robert Lewandowski was born with an eye for goal. The Poland international was at it once again against Benfica at the Allianz Arena. Lewandowski scored Bayern’s third goal of the night in the 36th minute, adding to Arjen Robben’s brace in the Champions League clash. 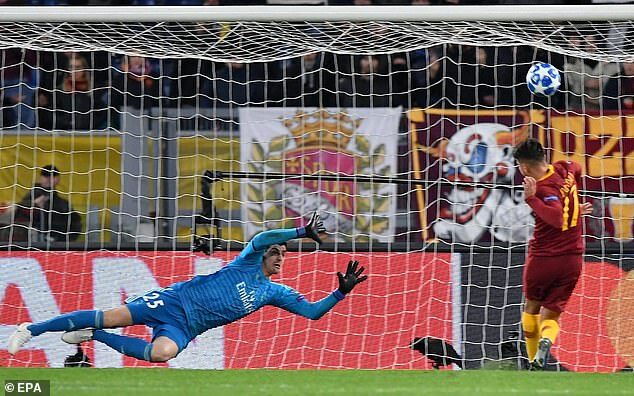 And after netting Bayern’s third, the 30-year-old became the 7th player to score 50 goals in the Champions League in his 77th game in the competition. Only Ruud van Nistelrooy (62) and Lionel Messi (66) have reached the milestone in fewer matches. 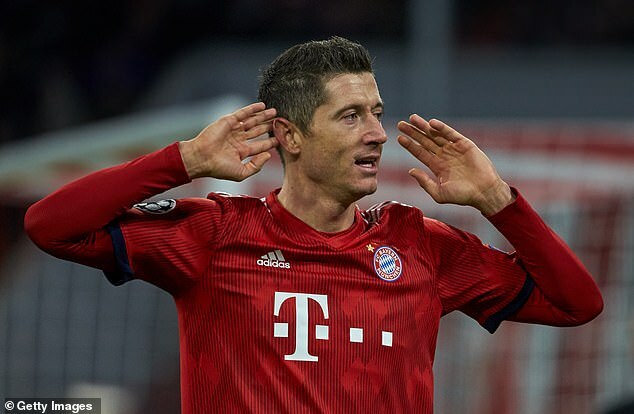 Lewandowski then scored Bayern’s fourth against Benfica in the 51st minute as they thrashed the Portuguese side 5-1.